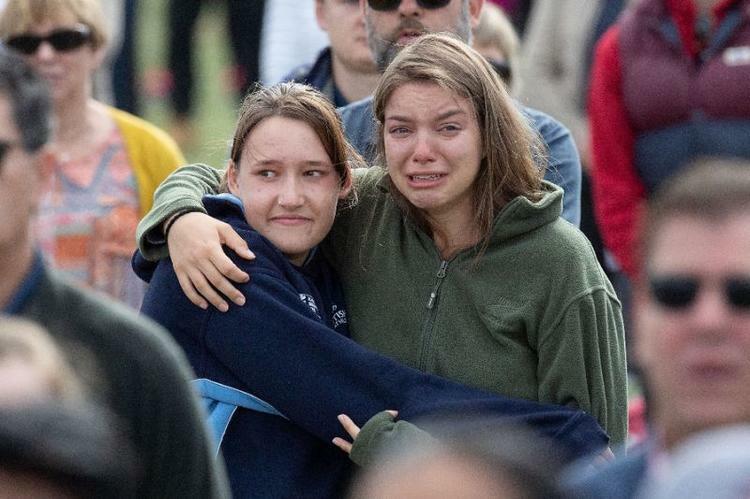 Christchurch (AFP) – A Maori lament echoed across Christchurch Friday as a survivor of the New Zealand mosque attacks told a national remembrance service he had forgiven the gunman responsible for the racist massacre that took his wife, and shocked the world. “Racism exists, but it is not welcome here,” she said, adding that she wanted New Zealand to set an example that would stop the cycle of extremism breeding extremism. “We are not immune to the viruses of hate, of fear, of other — we never have been,” she said. The service heard a Muslim invocation, or du’a, and Cat Stevens — the British singer who shunned stardom in the 1970s and became a Muslim, taking the name Yusuf Islam — gave a powerful rendition of his hit song “Peace Train”. “People ask me, ‘why do you forgive someone who has killed your beloved wife? '” he said. Ahmed said people from different cultures were like flowers and “together we are a beautiful garden”. The names of the 50 people killed at the Christchurch mosques by a self-avowed white supremacist were read out at the service. Christchurch mayor Lianne Dalziel said the atrocity was “an attack on us all”. “Those actions were designed to divide us and tear us apart,” she said. There were other smaller services around New Zealand, including one at Auckland’s Eden Park attended by All Blacks rugby star and Muslim convert Sonny Bill Williams.